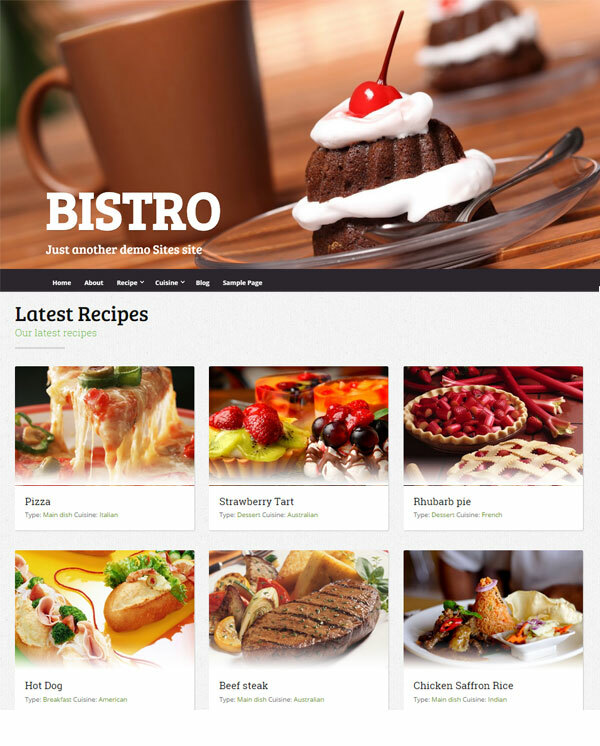 Bistro is a free premium responsive WordPress theme from fabthemes.com . This theme is built on Bootstrap 3 framework. This is theme for Recipe websites. It is built with features required to post your recipes, food photos, cooking videos etc. The theme is also enabled with Recipe Schema markup to configure your recipe posts for better visibility on search results.